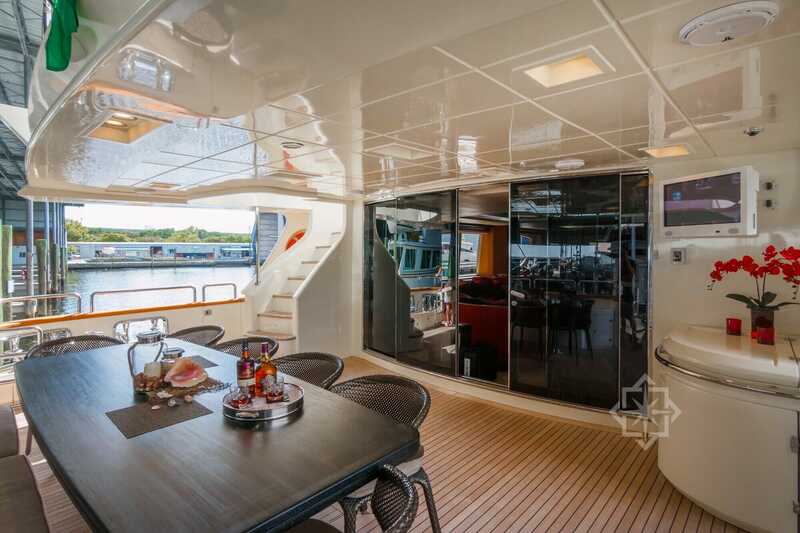 This 105’ Azimut just underwent a total refit in 2014 with brand new interiors which were magnificently designed by Stefano Righini and Carlo Galeazzi. Also updated were the new audio/visual systems, water-toys, and upgraded to an oversized jacuzzi! 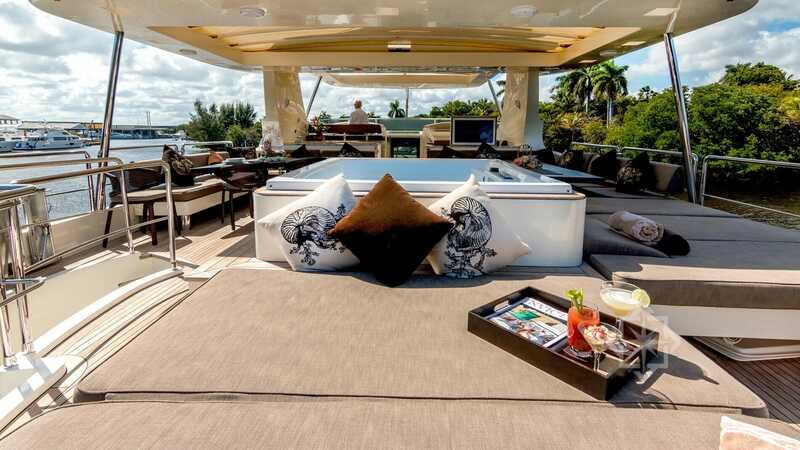 This Miami Yacht Rental offers you plenty of space for hosting a sumptuous party for your guests! 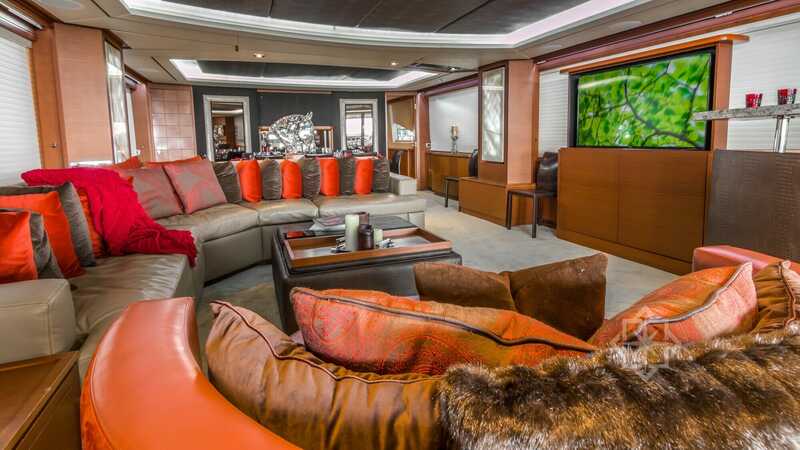 With a large sumptuous Salon, well laid out wet bar and dinning that can comfortably seat 10 guests at the aft and even more on the flybridge. No need to worry about reserving a spot for sunbathing. 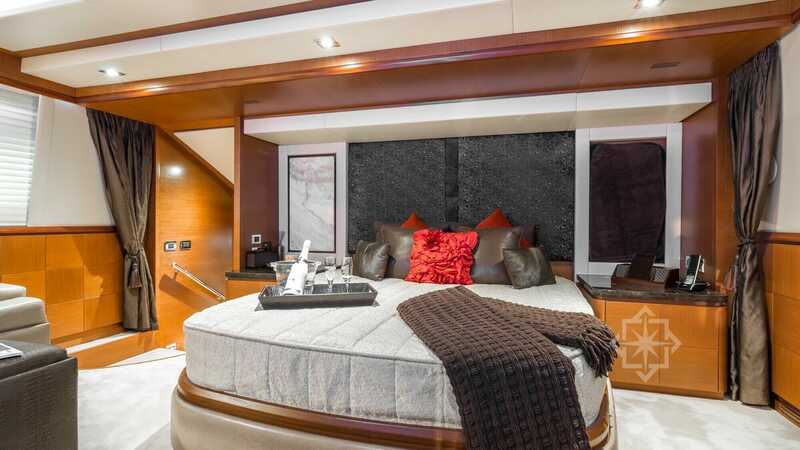 There are large sunpad areas throughout the flybridge and bow area contains two sunpads. 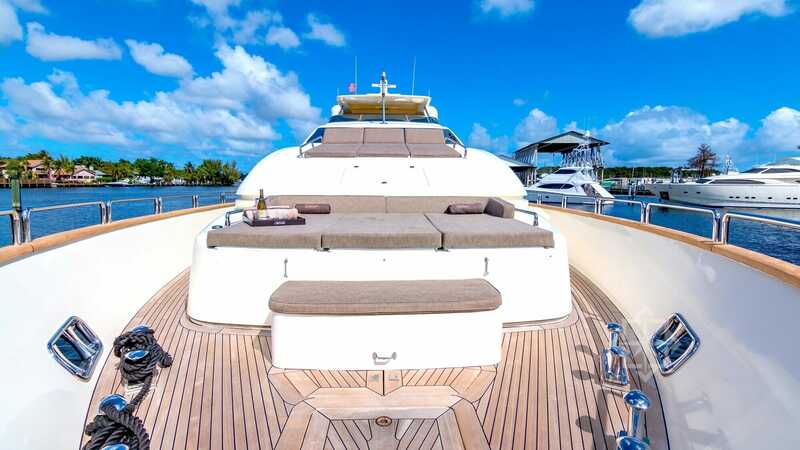 This luxurious vessel has enough sunpad space for the whole group! 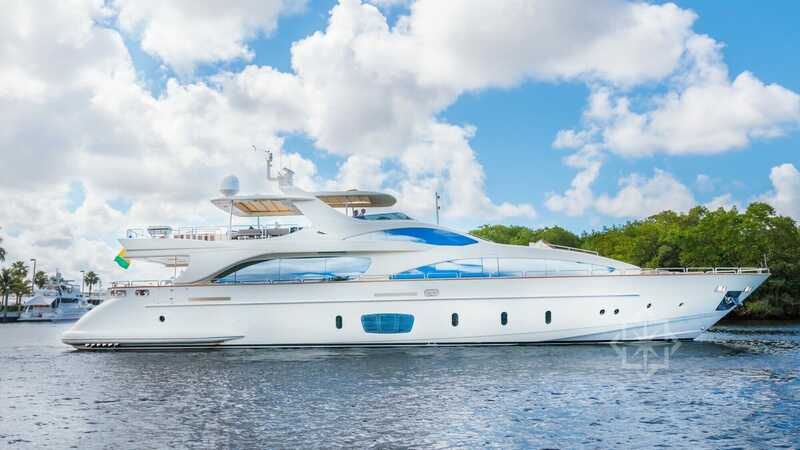 The 105′ Azimut is a stunning Italian yacht that is the perfect size for entertaining, or even longer trips around the Caribbean & Bahamas. 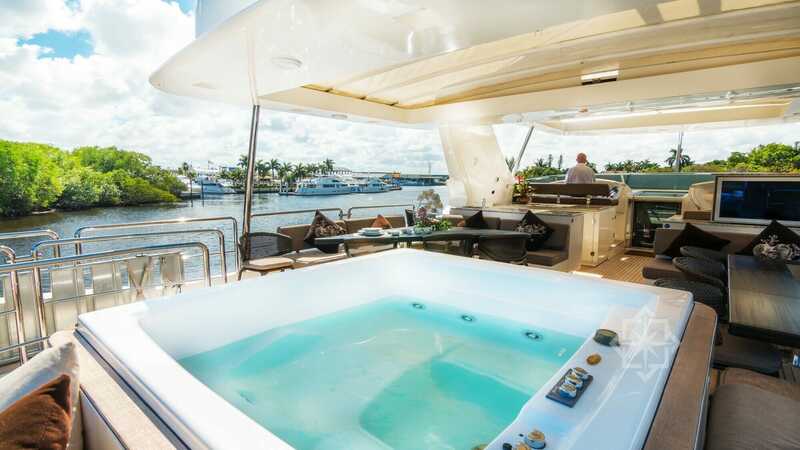 StarLux Yachts is Miami’s premier yacht charter and Miami yacht rental operation. 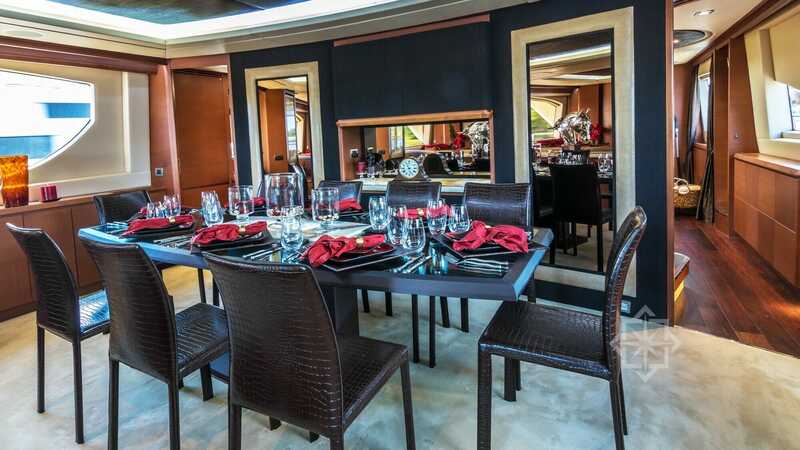 Our luxury services are not just limited to your yacht rental! We are specialists in all things luxury, with white glove logistics for a personal and incredible experience. We guide you every step of the way. We can help coordinate your vacation getaway or special occasion.